This is the first in a series of (weekly, hopefully) blog posts about horror movie & TV reviews for my 'Blood Spectrum' column in BLACK STATIC. 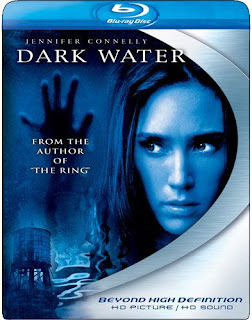 Americanised remakes of Japanese chillers rarely match the impact of their originals, so it’s a very pleasant surprise to discover Walter Salles’ Dark Water is far better in many respects than Hideo Nakata’s drama (aka: Honogurai mizu no soko kara). Jennifer Connelly is extraordinary as single mother Dahlia, struggling to avoid a custody battle for her young daughter Ceci (eight-year-old Ariel Gade, from sci-fi TV series Invasion), and moving into a rundown apartment on New York’s Roosevelt Island, while fighting personal demons inextricably tied to her own childhood sorrows. 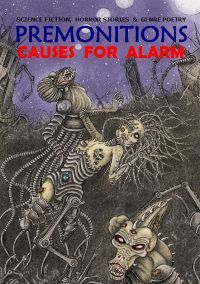 Confronted with apathy, professional incompetence or hostility at each turn of events, Dahlia slowly loses emotional strength when her low-rent home is plagued with horrendous plumbing faults and possible vandalism, and seemingly haunted by the ghost of lost neighbour, Natasha, who becomes Ceci’s invisible ‘friend’. Dahlia crumples magnificently under the overpressures of her workaday urban life, but she emerges from the drowning pool of Salles’ expertly crafted psychological thriller as a superb heroine, willing to pay the ultimate price to keep her innocent daughter from any harm. On Dahlia’s side here, against slippery estate agent Murray (John C. Reilly is entertainingly believable), there’s lawyer Jeff Platzer (a virtually unrecognisable Tim Roth, creating a lonely yet sympathetic character), while the great Pete Postlethwaite delivers a memorable turn as Veeck, the building superintendent, whose intentions remain ambiguous to the end, despite his initially suspicious behaviour. This review was first published in BLACK STATIC #1 (October 2007). SF addict, avid collector of movies and TV on disc, writer and columnist, magazine editor, independent (small press) publisher, founder of Pigasus Press.